I recently found out my 1950 "88" is actually a 76 from the factory. It has a V8 with a 4bbl and 4-speed hydramatic. All the bright work I got with the car (it was all in boxes as the car was prepped for paint) is for an 88. One clue I had (before I looked at the body style code number on the metal tag under the hood) was that the front fenders did not have any holes for the trim strips coming back from the headlights. What else would a previous owner have had to do to make my club coupe an "88" (at least to the general car nut)? 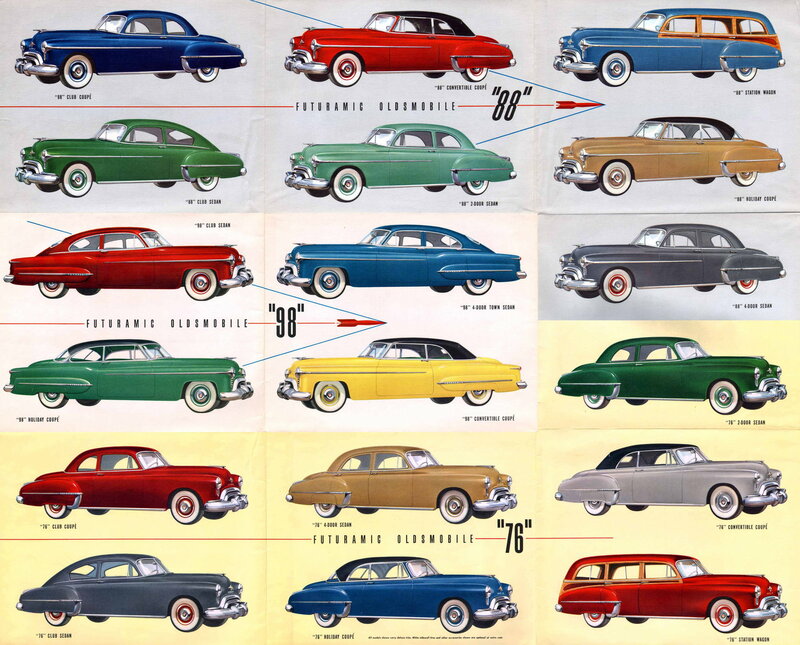 Also, where can I find a resource for standard trim and options that were available, from the factory, for all the different trim levels for a 1950 Olds? To be clear, I love the car no matter what but I want more information before I go too far in one direction or another. First thing I'd look for is an Oldsmobile sales brochure for that model year. Maybe try googling a few key words and see what you get. Not sure if they would be mostly pictures, or list the trim differences between the models. After that I'd be looking at body parts manuals. Last edited by Russ P in MD; February 6th, 2018 at 03:05 PM. As suggested original sales brochures that detail trim differences would help. Do a lot of "homework". You may also want to investigate what engine and transmission you have. If that carburetor is original to the engine, it's not 1950. The 76 series had a flathead 6 as the original engine. The V8 was in the 88 and 98 and was only equipped with a 2 barrel. Once I locate the stamped number on the engine block (towards the rear on the driver's side, as I understand it), where will I find the reference to tell me about the manufacture date, etc.? You're absolutely right about Fusick's. By looking at different parts and what they go to I can determine what was "factory" for each model. I like the poster because I'm a visual learner--and it's in color! I'm not sure about the older V-8 engines, but by the time they got to the mid 50s the engine number was near the front of the engine on the driver's side on a machined pad between the front and center exhaust ports. Often it started with the letter V followed by a sequential number. Since it's not original, you may have many possible combinations. Check the block number (stamped on the pad). Check the cylinder head number (cast into the head). If the carburetor has its tag, check the model number. Check the distributor type/number. If all correspond to one year all of it came together. Also check the ID tag on the transmission case. It would offer another clue. where will I find the reference to tell me about the manufacture date, etc.? Post the numbers here . Some of us have extensive reference material collections , and would be happy to " de-code " them for you . I have a 76 that retains the looks but will receive a 324 bored to 345. The V8 upgrade is a common practice. First thing to do is check the VIN plate on the driver's windshield column and trim plate on the driver side of the firewall for the model number. Your VIN should begin 506 e.g. 506M9999, the model number should be 50-3527 for club coupe and add a D for deluxe trim. The hood ornament on a 76 only has two elements w/no center rocket. The rear looks like a '49. 88's have a logo on the left side of the trunk. Your biggest concern should be whether the brakes have been upgraded to the larger 88/98 drums. There is running post on the H.A.M.B. board that has "THE OLDSMOBILE ROCKET 303 324 371 394 POST TO END ALL OTHER POSTS, (LASALLE RELATED ) that is the collective knowledge of numerous Oldsmobile hot rodders about Rocket engines. Yes!! I just bought this poster/pamphlet and am very satisfied with the amount of information on that publication. Thanks for the suggestion! I unfortunately do not have a VIN tag on the A-pillar. The drilled holes are present but the tag was removed a long time ago. I have a VIN on the title that begins with "AZ..." and I believe it is a replacement title (and number) obtained when the car was owned by a person in Arizona, AZ! I would love to know the history of this car but the immediately previous owner is not a good source of information. Does anyone have a reliable method to determine previous owners to add to my research tools? Back then, and for many years, the second digit of the series number indicated the engine. A 76 was a 70-series Oldsmobile with a 6-cylinder engine. 88 and 98 were 80-series and 90-series Oldsmobiles with 8-cylinder engines. During the 1940s, Olds offered pretty much every combination of these numbers. 66, 68, 76, 78, 88, 96, and 98. For 1950, three series were offered, the 76, with a 257 cubic-inch L-head Six, and the 88 and 98, both of which came with the same engine, a 303 cubic-inch overhead-valve V-8. 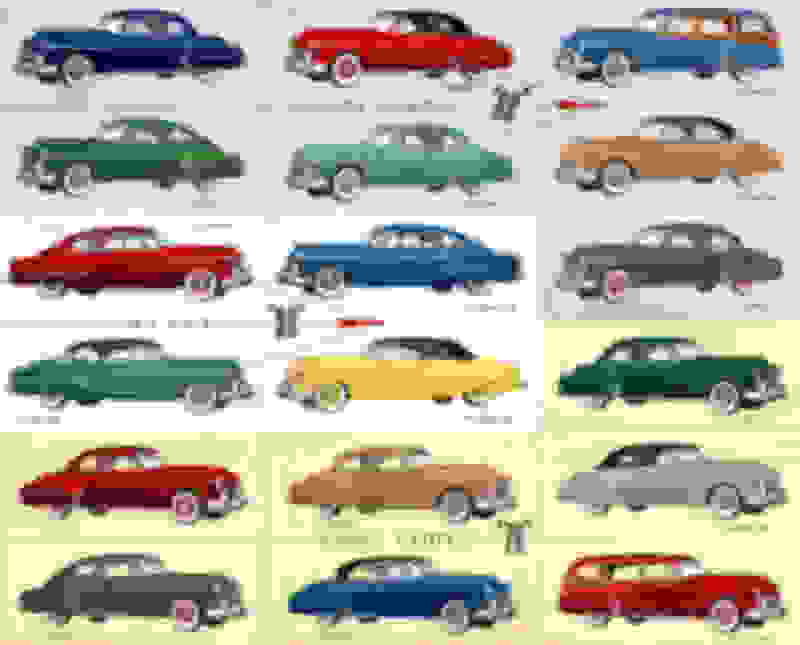 1950 was the last year for any 70-series Oldsmobile. After that, it was only 88's and 98's. With privacy laws added over recent years it's pretty much a dead end trying to search the DMV for owner history. Law enforcement can still do this, but will not unless it's for a legitimate use. I looked with a light and mirror for the engine block numbers but could not locate any on the driver's or passenger's side. I specifically spent time and effort looking around the exhaust manifold outlets. Could they be hidden behind the starter? Recommendations?? My Rochester carburetor book says that the carburetor tag was originally on a 4GC on a 1965 Chevrolet with a 327 engine with air conditioning. The intake casting number makes me think that it may be from a 1956 Olds. See if there is a big "10" cast into the cylinder head at the center ports. I can't get anything from that transmission number. Was it on an orange metal tag on the lower left rear corner of the transmission's case? That carb was most likely on the same 1965 Chevy that the side mirrors came off of! I did a search when I put them on because I knew they were not original either. The trans' number was stamped on the passenger side, facing upside down, just above the pan. I did not see a metal tag anywhere on that piece. It would be nice to know how much power that transmission can take if I do some work on that engine to improve its performance. The engine serial number will tell the engine year. It is stamped on the driver side machined deck of the block at the lower edge between cylinders 1 and 3. If the deck has been rebuilt, it may be faint. With the head on, look straight down between the head and exhaust manifold. What you have is a "frankenmotor" . The carb , as previously noted is from a '65 Chevy . The intake is from a '56 Olds 324 . The number you ID'd as a bellhousing is actually a block number . Early Olds bellhousings were cast as part of the block . The block number appears to be a 1950 303 . If someone did the job right , in putting this motor together , it should also have ' 56 heads . As noted the heads should have "10" cast on the top near the exhaust ports . Any other heads will have an intake port mismatch . AND I found the "10" stamped on the head right by the exhaust manifold. So that means the heads are '56, just like the carb and intake. Can anyone verify that the block is a '50 303? Did I get all the numbers necessary to make a positive ID? You need to scrape some more. '49-'52 started with "8"and a letter, '53-'56 with a letter. The "10" should be raised and about an inch high. No raised numbers = '50. I don't think they ever got to 7 digits. It appears there may be a "V" in front of the 1. Does that make sense? Also, I misquoted a date before when I said my carb is a '56, like the intake and heads, when I was clearly told it was from a '65 Chevy. I am dealing with a lot of numbers at the moment. The "V" makes it a '54-'55 block. If the number is V395827, it falls into a gap between years. GM is known for crossing over parts between years at annual model changes;e.g. the 51A's are left over '50 bodies. I have read that the early '54's had problems with pistons suggesting your engine may have been a replacement. What are the raised numbers on the top rear of the block that are read from the passenger side? My '55 324 block reads "563922". Try reading them again after cleaning them up with a wire brush etc . The 558XXX number indicates that the block was first used in a 1950 . Be careful with that block stamping info or any other casting info on the internet. Engine serial numbers are stamped into the block. Casting numbers are cast into the raw casting and are part of the mold. The serial numbers shown in that link for 1956 engines are wrong according to the '56 shop manual and the 2 '56 blocks I own. According to the manual, and consistent with my experience, all '56s start with "V" whether Jetaway or Hydramatic. The manual says the first '56 engine was V1000001 (both of mine are higher than that). Most large Oldsmobile castings were poured by Central Foundry Division (CFD) and you will see a casting number, CFD and a wheel symbol cast into them somewhere. Sometimes there is also a mold number. They used a Julian dating system, so there may also be a 3 digit number from 1 to 365 indicating the day of the year it was poured, but that will not indicate the year. I don't know if all types of castings were date coded. 1956 324 blocks have a casting number (not serial number) of 567405 on the passenger side of the bellhousing top. That 558709 you saw is the casting number for a flywheel cover which is on the bottom of the engine and a completely separate part. The 3 after that is a mold or cavity number. Flywheel covers vary according to the number of ring gear teeth which changed over time. The starters are different depending on the ring gear, and the flywheel cover must match the starter. I have seen different casting numbers for flywheel covers, but the 558709 seems to be early. I have a '56 that is a 567452 and a '55 that is a 564020. I believe both base 88s and Super 88s could be ordered with Jetaways in 1956. 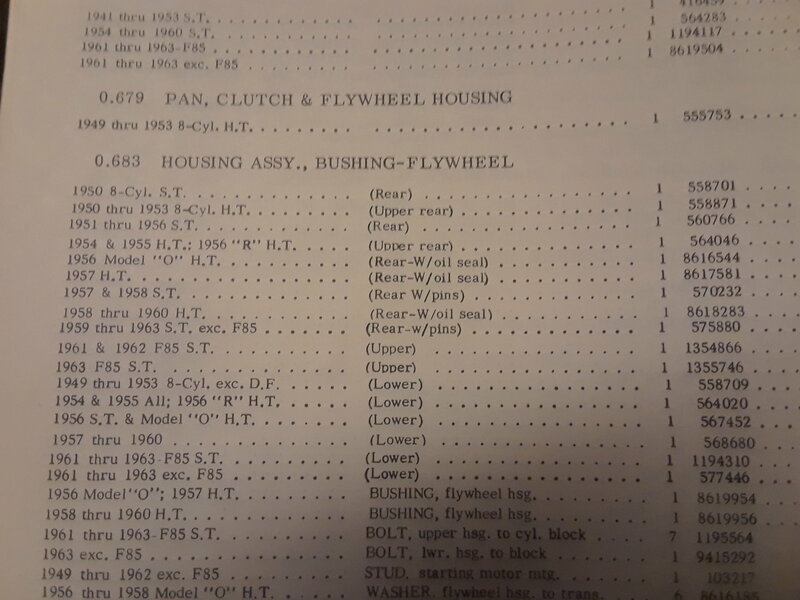 The service manual states otherwise, but the 1956 Dealer Data book shows Accessory Symbol "A" as a Jetaway for all "88" and "Super 88" series, plus I own an 88 with a Jetaway shift indicator. That car currently has a 55 engine and dual range Hydramatic, so the original is gone, but it seems unlikely someone would swap in a Jetaway indicator if the car originally had an R55.
. That 558709 you saw is the casting number for a flywheel cover which is on the bottom of the engine and a completely separate part. The 3 after that is a mold or cavity number. Flywheel covers vary according to the number of ring gear teeth which changed over time. The starters are different depending on the ring gear, and the flywheel cover must match the starter. I have seen different casting numbers for flywheel covers, but the 558709 seems to be early. .
That lower bellhousing would be compatible with a 145 tooth flywheel . Which was used from 49 thru 53 . I'm thinking that this may be a 49 thru 53 short block , with '56 heads and manifold . A popular combination for getting more horsepower out of a 303 . Now , if our OP can find a casting number on the block , then we can know for sure what it is . OP is not sure where to look. After I found the stamped number (V1395827) I thought the problem of block year and c.i.d. 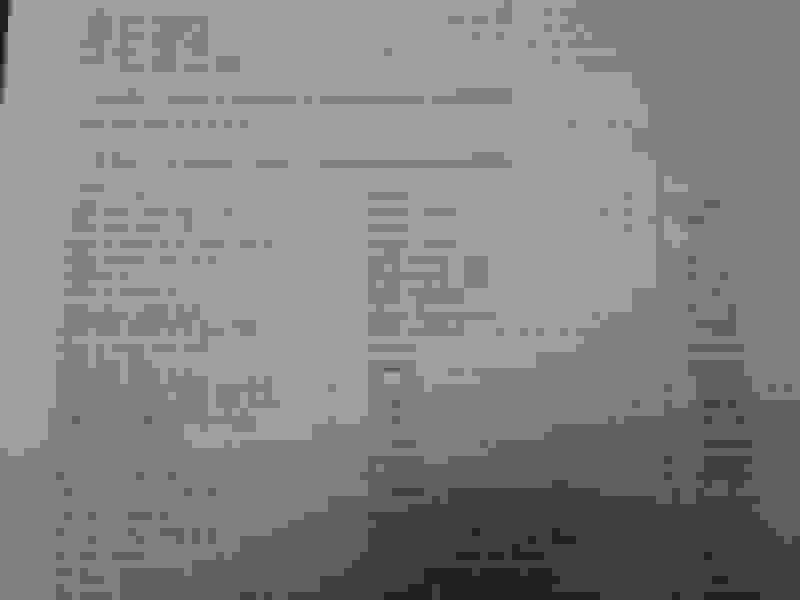 was solved thanks to TRWham's information (1956). However, due to the conflicting year of the casting number on the flywheel cover (1949-1953) we are still uncertain? Couldn't the flywheel cover fit the back of the 1956 block (with '56 heads and intake)? I guess I am not sure, Charlie Jones, what I am looking for on the passenger side of the block. I looked for any additional casting numbers and was able to find a two-digit marking that looked something like "QO" but it was upside down behind the oil filter and too tight to get the trouble light in a good position AND I could only view it with one eyeball at a time. In other words, I am trying to find more information but do not know where else to look. You can believe that I really appreciate the assistance and knowledge you are sharing with me! That block casting number is hard to spot with the engine in the car. You may be able to us a camera or phone to snap a picture of it. You may have a '56 engine mated to an older Hydramatic using the older flywheel housing to match the early ring gear. Are you sure which transmission you have? Are you sure which transmission you have? Not that sure! I can only go by the numbers cast into the passenger side. I do not have a separate metal tag that I can find. Upon further inspection, the "GFD" that I mentioned in an earlier post is actually "CFD" followed by a wheel symbol. Can [anyone] tell me how tough that 1950(?) hydramatic is? I have heard it is amazing! Also, would it be different if first mated to the original 6-cylinder (76 powerplant) vs. the 8-cylinder (88 303)? Not t9especially hat sure! I can only go by the numbers cast into the passenger side. I do not have a separate metal tag that I can find. Upon further inspection, the "GFD" that I mentioned in an earlier post is actually "CFD" followed by a wheel symbol. Can [anyone] tell me how tough that 1950(?) hydramatic is? I have heard it is amazing! Also, would it be different if first mated to the original 6-cylinder (76 powerplant) vs. the 8-cylinder (88 303)? Trans data tags , however , were in easy to see places . Because dealer service depts. needed to see them for warranty claims . But , after almost 70 years the trans tag may have gone missing . The early "single coupling " Hydra-Matics (up thru '56) were extremely rugged and dependable . They were the favorite of racers until the advent of the TH400 . The major difference between "76" and "88" transmissions was the flywheel and torus cover . 76 models used a smaller flywheel and torus . I have plans to slightly improve the stock performance via updated pistons and camshafts and potentially swapping the carb for throttle-body injection. I would like to see about 300hp out of the effort. Does anyone have stats that would help me determine if this trans would be able to manage that as a daily driver (NOT a racing machine)? A FUN daily driver...did I mention that? I think Charlie answered your question about the transmission in the previous post. It will easily handle your expected 300 horsepower. Not only were those transmissions the favorite of drag racers back in the day, they were used in Sherman tanks during WWII. It will easily handle your expected 300 horsepower. Not only were those transmissions the favorite of drag racers back in the day, they were used in Sherman tanks during WWII. OMG! I should have nothing to worry about, then! Those transmissions are what made B&M famous in the fifties and sixties. With a little work they will take 600 hp with out much trouble. Last edited by Tedd Thompson; February 19th, 2018 at 06:40 PM. The biggest problem with the hydra-matics is finding somebody to work on them. They guys that worked on them back in the day are all getting old. I found a guy to rebuild mine and he is 77. Yup, the old B & M "Stick hydro". Earlier in this thread you posted a number S614721 . that was on the transmission . Is it possible that this number was 8614721 ? I think that we have probably established that this trans is a 49 thru 53 "straight pan " Hydra-Matic . That 8614XXX number probably establishes the part as being 1952 or 53 . Count the number of "clicks " that the shift lever makes when moving from neutral to reverse . Four clicks and it will be a "single range " trans from '49 thru '51 . If there are 5 positions for it to click into , then it is a "dual range" trans from '52 or '53 . Not much difference between the two , except hat the "dual range " trans could be held in 3rd gear with the extra position . Does the engine run? Does it even turn over with a breaker bar and a socket on the crankshaft pulley ? If not , then you may as well pull the motor and overhaul it . However , if the engine turns over by hand , it can probably made to run . If you're lucky , you may find that someone has already made the modifications necessary to achieve the HP that you desire . If and when you do decide to pull a cylinder head you will quickly be able to tell if the block is a 303 or a 324 . A 303 has a 3 and 3/4 bore and a 324 has a bore of 3 and 7/8 . BTW a 303 can be bored out to 3 and 7/8 and become a 324 . Using stock 324 pistons . I would advise against installing a TBI fuel system . These early Hydra-Matics were very sensitive to TV (throttle valve ) adjustments . The trans to carb linkage must be properly adjusted for it to shift properly . Unless you can find someone to set it up properly , you may be very disappointed with the results . Yes, upon further inspection I was wrong the first time. The first digit is an 8. Thank you for checking! I know many suppliers offer TBI for different applications that are widely adjustable and adaptable (Holley, for instance). I did not look into this very far but I did not anticipate there would be an issue with my Olds. It sounds like I may want to rethink this option. But I really like the efficiency and reliability of fuel injection--especially when it looks like I have a carb under the air cleaner. Suggestions? The car runs well now, no blue smoke or funny noises. I do not have the carb set up well, though, and I have difficulty with the car stalling when I put my foot into it like taking away from a stop sign in a hurry. Are you guys saying I will find more success tuning the '65 Chevy 4v I currently have than if I switch to TBI?